1. The MPOA dredging contractor will be moving out of South Bay MPOA by next week to work on completing the Wickline Island dredging before moving up to resume work on the O’Brien Shoals area. Any remaining Lake User’s need to be aware of changing conditions related to the location of the dredge, anchor barges, booster pump, and sediment pipeline. Any remaining areas to be dredged will be completed in 2017. 2. 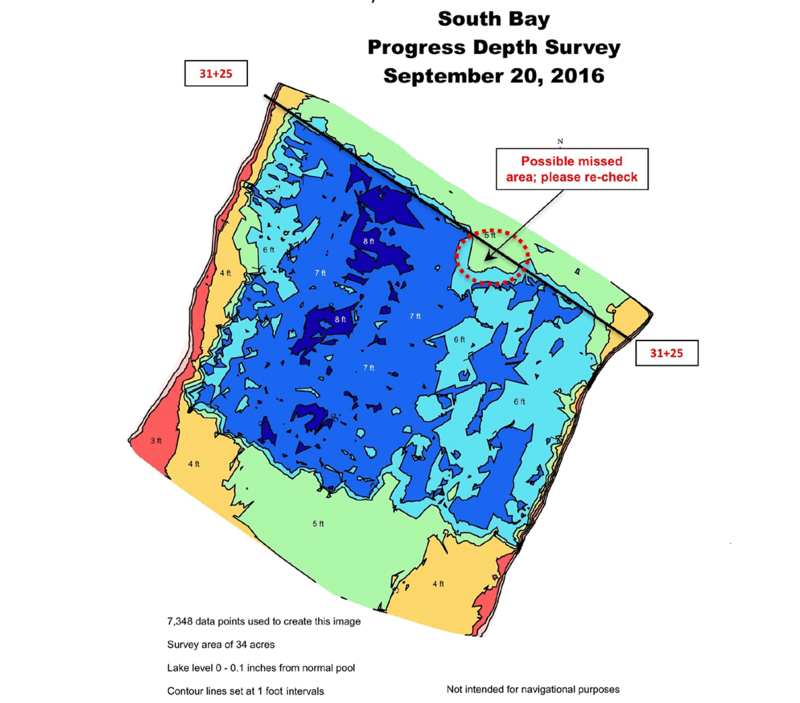 Verification of sediment depths achieved by the dredging completed in the South Bay as of September 20th, 2016 was completed. This process determined that the dredging depths called for in the dredging plan are being achieved, as well as identified a small area that was missed, which is not an unusual occurrence. 4. The Nippersink Watershed Association has received the contract for the current round of IEPA funding, and is currently working with WL and other watershed landowners on getting projects underway.